It’s official! Fianna Fail’s years of sack cloth and ashes are now well and truly over. If you watched the ‘Leaders Speech’ on RTE on Saturday night you sort of got the message that Michael Martin wants to move on, to finally sweep the nightmare images of controversy and chaos of Brian Cowen’s last few months in government under the carpet. Of course, what he wants and what he gets might be two very different things. I’ll come back to this. But lets get back to Saturday night…. The impression they seriously want to get out there is that this is now a party and a leader in bold, confident mood ready for government. No more hang dog penitent looks, no more looking at the floor while talking to the people. It’s the old Fianna Fail coming at ya! Maybe we should be worried…. Several factors have brought this new attitude about. It would seem the success of so many of their councillors in last year’s Local Government elections was a real boost indicating, perhaps, that the plain people of Ireland are, at last, beginning to forgive; not all of them, but some. The opinion polls too suggest that they have bedded in their recovery as they now regularly get an approval rating of around 20%. For years Fianna Fail was a centrist party. In social and economic issues there was often little more than the width of a cigarette paper between themselves and the so called right wing ‘blueshirts’ of Fine Gael. No longer. Not after Saturday night. 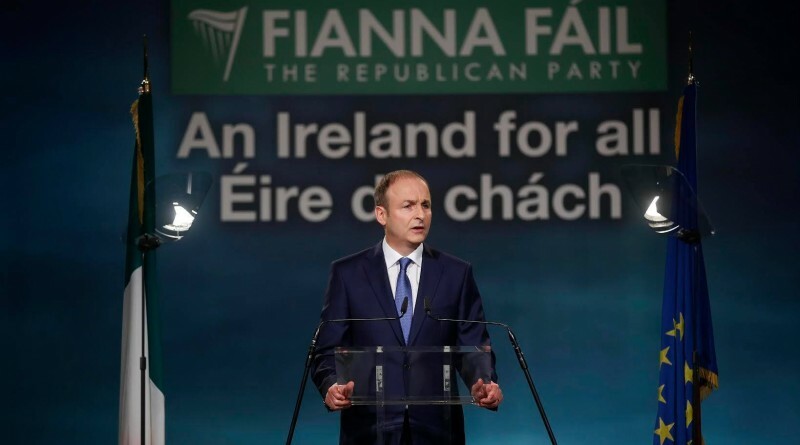 Martin has moved his party way to the left of Fine Gael, and Fianna Fail is now going after not only traditional Labour voters but also many of those who would want to vote Sinn Fein but are reluctant to do so because of that party’s association with the IRA. Martin has issued a clarion call to this cohort that he has the same values and concerns as they have. During his address he spoke of a massive rise in inequality stating that this did not ‘happen by chance but by choice’, of a government ‘arrogant and out of touch’, of a leadership seeking ‘a coronation not an election’. There would, he explained, be no more ‘auction politics’ and all costings of policies and plans would be independently verified before an election. The Cork man, it has to be said, talked a great game, almost as if he firmly believes his party will be back in government before Easter. Is the old arrogance starting to rise already? And he is adamant he will neither do a deal with Fine Gael nor Sinn Fein? But here’s the rub, it’s more than likely the only way Fianna Fail will get back into power this time around is to go into coalition with Fine Gael. The latter are coming in consistently around 30% and the Labour Party are barely reaching ten per cent. Not near enough for this government to get back into power. 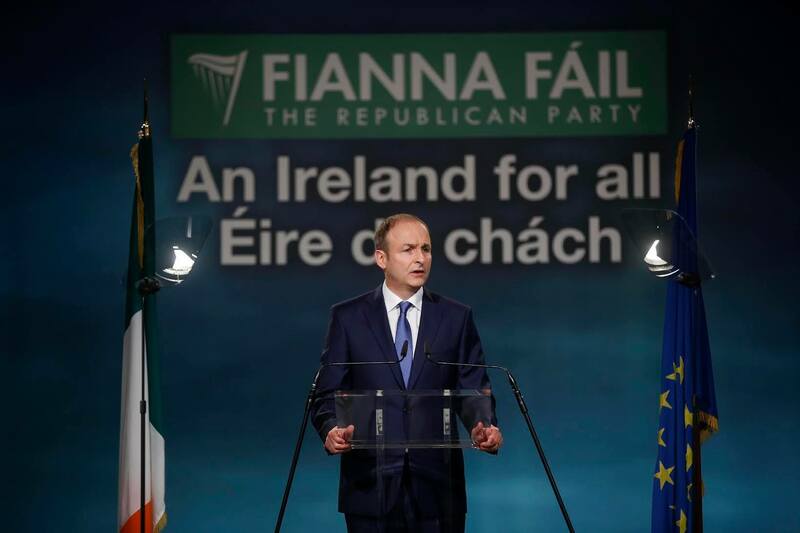 Only a Fine Gael – Fianna Fail combo will have the numbers, if the current polls are to prove right on election day. So Mr. Martin might have a big decision to make sometime in early March. Won’t it be interesting whether power or principle determines what route he and Fianna Fail take? ← How can parents help their kids with their CAO choices?